Etherbanking is an open source, peer to peer, community driven decentralized cryptocurrency that allow people to store and invest their wealth in a non-government controlled currency, and even earn a substantial interest. This means anyone holding EtherBanking Coin in their wallet will receive high and stable interest on their balance, as compensation and a motivation for them to make their investments. Gaining interest in a free-inflation world would always ensure real profit for investors. The long term goal of Etherbanking is to create and shape the world´s very first blockchain based banking system because blockchain is the core technology behind cryptocurrencies and it is a peer-to-peer distributed network. It’s much faster, more efficient and less prone to error process than the traditional automatic clearinghouse (ACH) banking, which can save money and time for banks and make payments almost instantaneous for consumers. In addition to that, the blockchain’s decentralized nature makes it much more difficult for criminals to carry out frauds. With E-smartcontract technology, Etherbanking will become the world’s very first banking system which has neither branch/outlet location nor staff. E-Smartcontract™ technology which connects borrowers with investors through our online marketplace, help you to save your money, make an investment or borrow a personal loan in a frictionless, transparent and highly efficient digital way. In this article, I’ll be highlighting the nine (9) etherbanking’s ecosystem that would definitely project ebc coin to the moon in a very short space of time. Before I kick-off, I’ll show you how to create an account that links to all Etherbanking Ecosystem, alongside with the listed etherbanking specifications. Firstly, register a free myebc account via https://myebc.io/r/8893. (Get free 5ebc once you register through the link and login the ebcwallet platform after second process). After that, proceed and complete the KYC process to verify the account. Finally, you can log into any etherbanking platform as it passes through the myebc gateway. EBC exchange is a proprietary professional exchange developed by the Etherbanking team and today we can already trade 15 different crypto currencies between 7 important markets. More pairings and markets are added continuously to the exchange with a long term goal of trading thousands of coins and to become one of the top 5 traders place on the market. The Exchange is connected by a second channel to EBCwallet so that traders can easily withdraw their profits and utilize at merchants for products and services, or through EBCpay platform /credit card payment option. Members who hold EBC pay 50% less trading fee, marketing strategy utilized by major exchanges such as Binance and others. This way traders need EBC to pay less fees, hence there will always be a good demand for the proprietary coin. This is a multi-currency wallet where you can store and hold several cryptocurrencies including BTC, ETH, EBC, ETC, BCH, BTG, LTC, USDT, PAX +++ and lot’s more to be included. EBCwallet allows instant transfer (super speed), peer to peer between wallets, with minimum tx fee. The API of ebcwallet is ready for integration with merchants for acceptance and fast payment for products and services with cryptocurrencies. However, EBCwallet is recommended as the best universal cryptocurrency wallet. It is integrated with EBCswap (swap DEAD coin for EBC. 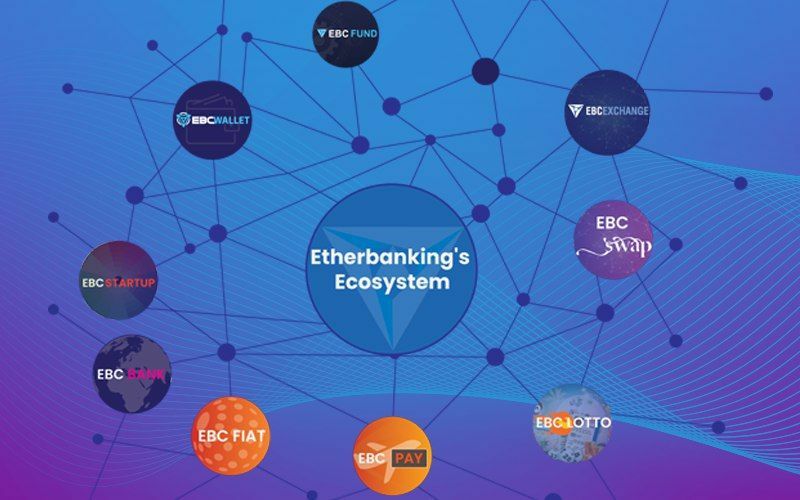 EBC swap is the world’s first application in the crypto world that allows people to swap dead coins for EBC, the core-value of Etherbanking ecosystem. “EBC Swap’s objectives are creating a second opportunity for those who possess dead coins, as well as connecting people to strengthen EBC Ecosystem Community.” Dead coins such as bitconnect, bitqy, gold rewards and lot’s more, simply swap for ebc. 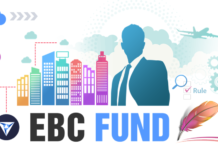 In details, EBCFund is a community of mutual financial supporters with principles of freedom, association and compassion. In EBCFund, it is not necessary to perform a contract or pledge your property. In EBCFund, there are no lenders or debtors. Everything is very simple – its members helping each other voluntarily – and receive help from other members in the community. The cryptocurrency platform based on the technology of Blockchain and Smartcontract of Ethereum makes it a reality. The decentralized community fund is understood as an “Encryption Fund”. This Fund is operated under smartcontracts and peer-to-peer services. With this system, most of the networks are online as all matters can be solved online. 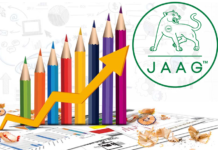 The Fund is formed on a computer interface, on a desktop or a telephone, with cryptocurrency as the main currency. This system is entirely operated based on Blockchain without any server. Together with sophisticated and intelligent methods to generate maximum profit for the members, up to 300% of the initial contribution, a Smartcontract will be created to regulate the rules, ensuring fairness for everybody. I already updated a detailed article on how users can make 300% returns on investment with EBCfund. A few years ago, a new market called ICO (initial coin offering) emerged, a place where companies launching a project can ask private investors to support their vision and ideas by cryptocurrencies (usually Btc or Eth. Participants in an ICO invest and receive Tokens (a cryptocurrency that use a third part Blockchain such as Ethereum /NEO blockchain). This new model of crowdfunding is revealed to be very risky for investors and scams are unfortunantley very common. At early 2018, Vitalik Buterin (the founder of Ethereum) disliked this model and tried to inspire the world with a new concept, the DAICO model (Decentralized Autonomous Initial Coin Offering). This new way to raise funds protects the investors because the developers of the project will not be able to manage all the money raised in one time. The funds raised will be secured through a smart contract and the developer team must complete their first goal in road-map to customer’s satisfaction in order to have the next portion of funds released. This will keep the developer team in full focus as if they do not deliver as promised, investors can reclaim their invested funds back and the project is terminated. Another reason to use EBCstartup to launch a DAICO campaing is that it is much cheaper and easier to acheive success faster due to the smart contract setup, and investors will be more confident about their investiments. EBCstartup will give all the services needed, from the creation of the requested token to the smart contracts that control the campaign, sites, graphic works, promotion and marketing. When a project has success, the Token will be added to the EBCexchange for great liquidity and trading for entire community. EBC Bank will be the first decentralized Bank in the world. 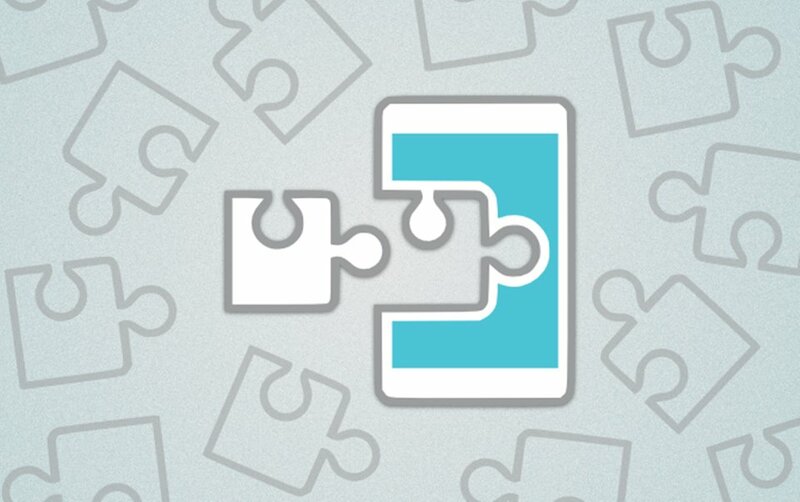 Members will use a mobile app to easily create E-Smartcontracts to achieve personalized banking and financial services. EBC Fiat is a platform where you can buy and sell cryptocurrencies for fiat currencies and vice versa. This is another great platform for liquidity into fiat and vice versa. Merchants can accept payments by several cryptocurrencies through our EBCwallet in a faster and cheaper way. If they need to have them (crypto) converted to fiat currency the system will immediately trade the received cryptos to the preferred fiat currency and sent to their bank accounts. Fast, easy, automatic, and cheap! We will also have a debit card connected to our EBCwallet to spend at more than 36 million acceptance places around the world in case the merchants does not accept crypto at the time. You can select which crypto to spend from your EBCwallet and merchants will automatically receive fiat in their local currency. Finally, smart contracts will dominate in the future gaming industry! In this platform full transparency in gaming industry will be secured for the security of all participants. How where the winning numbers selected? How much money has been raised in the system? How much does the system keep? Is the winner actually paid? This entire question is unanswered today as we cannot see what happen, making gaming industry a suspicious one where fraudulenactions are regular. With Smart Contracts and Blockchain technology it will be not a mystery anymore and any player can check what the system does and does not. Transparency in the gaming industry to 100% through E-smart contracts! This is the private decentralized wallet to store your EBC, ETH and ETC including all and any token created on our blockchain through EBCstartup. Choose which node and use your private key to manage them. Always keep your wallet key safe, you are your own bank and Etherbanking cannot access our accounts, reset password nor reverse transactions. Protect your keys and always check that you are on the correct URL. 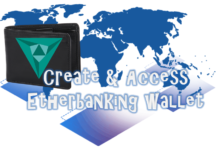 EtherBanking Block Explorer Etherbanking Explorer https://scan.ebccoin.io and https://explorer.ebccoin.io are the two block-explorer´s where you can check complete transparancy of any and all transactions, wallets, accounts and more. Anything happening on the EtherBanking blockchain will appear here. statis.ebccoin.io is a website where you can check Etherbanking’s Blockchain in real-time! Certainly it is difficult if not even impossible to make a reliable prediction on the future value of EBC. To get an idea we need to analyse the history of the market and find a similar coin that has had similar characteristics in the past, a maximum amount of coins (33 million) and project delivering what is requested and needed from the comparable market. To date there has never been a currency that has all the features of EBC, and the one that came closest to it as technical data (but without a project) has exceeded $480 / coin in a few months of open market in 2017, and keep in mind that this has been a year of hype. Today EBC is not yet widely publicized, no banners, no articles, no coinmarketcap and such, because the system is not yet ready for the general public. It is necessary to complete the platforms under construction and attract a limited number of users before exposing themselves to the mass–market, if they proceeded to doing it now it could even be counterproductive. Furthermore, it is essential to decentralize all banking services so as to make them unstoppable. Contrary to most cryptocurrencies dealing only with blockchain, Etherbanking has built a really interesting Ecosystem, which means that the staff has to deal not only with the blockchain but also with the exchange, the Apps, the relationships with the stores, the commercial part. It is a HUGE project compared to all the other coins that today float only on the basis of speculation. In a certain sense it can create a new market where the services provided solve problems that are widespread and felt in the world. For this reason, after careful analysis, I am convinced that 1 Ebc could be worth several thousand dollars in the not too distant future, clearly in a market different from today where more substantial capital has already entered and regulation is consolidated. I would even dare say that the value of 1 Ebc should soon exceed $ 100 with a target of $300 already at the end of 2019. 1 Ebc is trading at only $0.08 – $0.14 on the ebcexchange today. We also remind you that owning EBC coins, and storing them in your private wallet will earn you rewards each time it is chosen to validate a block of transactions through the PoS blockchain system. The yearly interest for staking will be 20% of the coins you keep in wallet. By only holding EBC, you will receive new EBC as reward, by spending only new coins earned by PoS you will create a real life passive income to spend as well as keeping the quantity of coins on sale low. Since you always hold your original amount in your wallet, the value will automatically increase from this feature as well. If you experience any difficulty during the process, please do let me know via comment section. Feel free to share this content with friends via social share button.